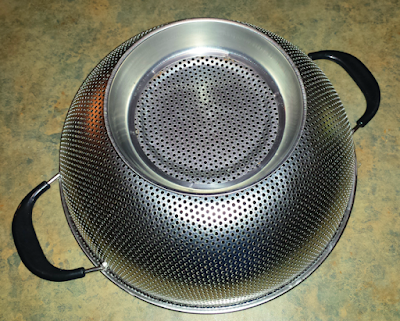 I am the pasta-masta at STP so I was asked to review the Kukpo 5 Quart Stainless Steel Colander/Strainer. It is designed for straining pasta and noodles, as well as fruits and vegetables, so I put it through it's paces. 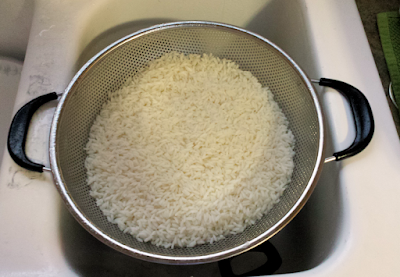 I started off my testing it with rice; the sworn enemy of colanders and strainers. Those little white grains can get stuck in the holes and get into all the crevices and create a clean up nightmare. 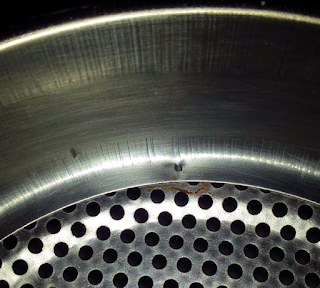 While this colander still suffered from residual rice, it was easy to wash the errant grains away with running water. This colander comes with sturdy rubberised handles which are comfortable and offer good grip, as well as being positioned perfectly to rest on the edge of my sink to make straining pasta and rice more convenient. 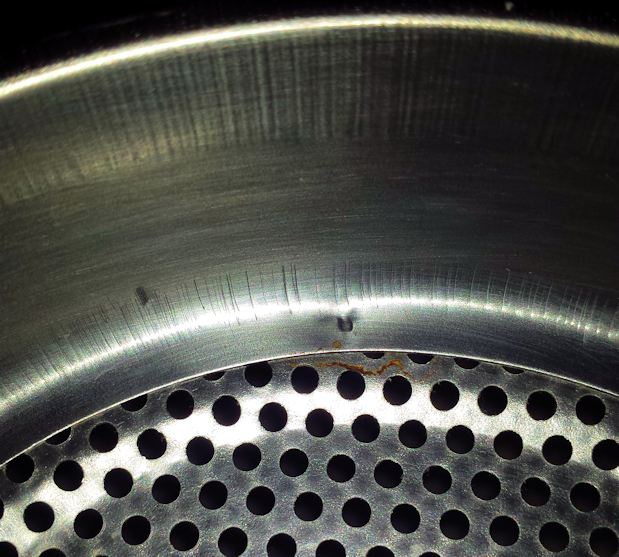 Even though this colander is made from stainless steel, I did notice that where the base joins the bowl on the underside, there were two spots of rust forming after only a week of use. The manufacturer advertises this colander as "dishwasher safe" but I would recommend hand washing and drying immediately to avoid extended water contact. I will report back if the oxidization expands or worsens over time. Overall this is a solid colander and if you take proper care of it with respect to washing and especially drying, it should serve you well for many years. I wanted to give it 5/5 for it's performance, but the rust cost it a point. 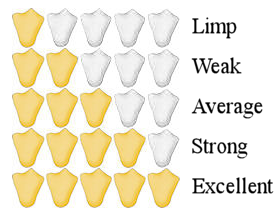 It is certainly a solid construction without being too heavy, and does the job of straining efficiently.